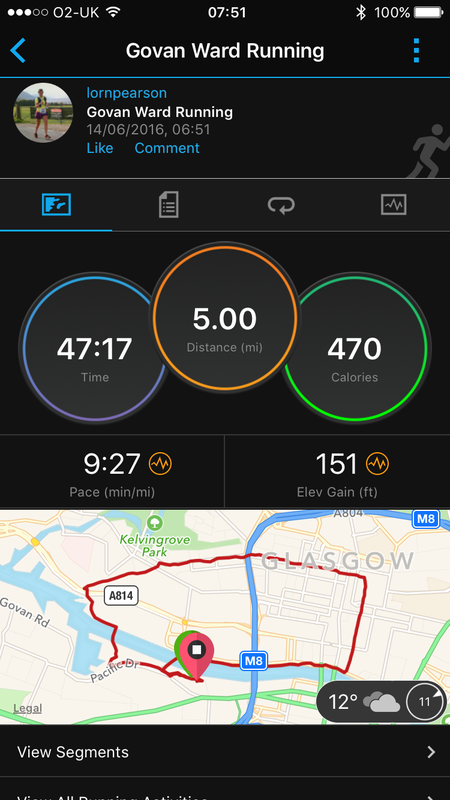 I ran just 5 miles last week. My lowest mileage week running for a long time, but I don’t mind. Work took over and I was working long days, delivering the recruitment of the BBC Scotland Apprenticeship and keeping on top of my own work. I’ve also had a bit of a sore plantar on the right foot, so after my 5 mile run on Tuesday, I got a half hour massage on my feet and lower legs. Lorraine is in my work to do sports massages every Tuesday, so I grabbed a cancellation spot she had and asked her to work on them. I said, my calves should be fine, it’s my plantars that are sore. But as usual, when she got stuck into my calves and lower legs they were sore and tight after all. (After the Skye half marathon on the Saturday before it). 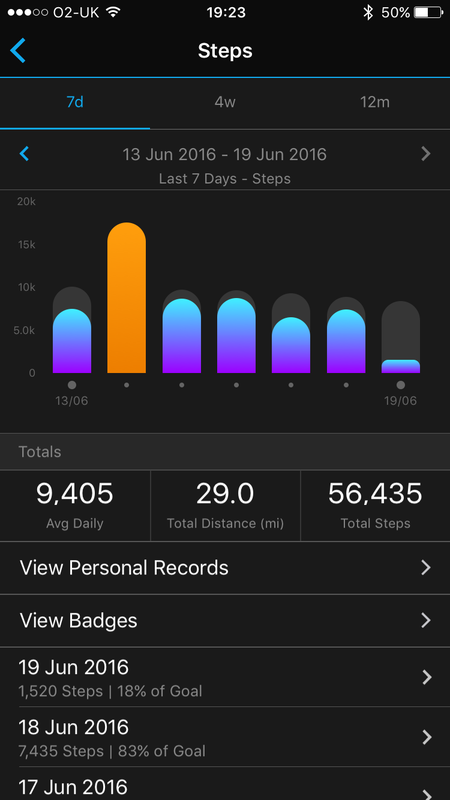 So I decided to give running a bit of a rest … and by the end of the week I’d still only run 5 miles. I was busy in work, and walking to and from work every day. So I got around 7-9000 steps a day. Around 24 miles walking. Now I have a few days off work, and soon it’ll be my holidays so I’m wondering if I should even start up my training again or just take an extra long holiday. I’m sure the rest will have done me good. My plantar still isn’t right, but it’s feeling better. 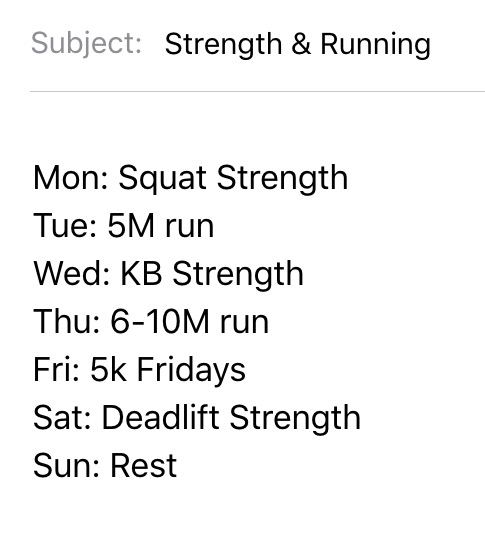 Periodisation – that’s what I’m doing. Where you give yourself structured and planned rest from intense training. Before building it all back up again for a target race (Loch Ness Marathon at the end of September). In the next 2-3 months I’d like to mix strength training with running, but I usually fail and let running take over. But if I plan my week like this, hopefully it’ll work. (With maybe long long runs on Sundays or Saturday’s). Today I had my nieces around for the afternoon where I fed them ice cream (as a treat after one of them fell and cut her knee), then pizza, then some more ice cream. What a nice auntie I am eh? The day was fun: The Lion King, play in the garden, a spot of gardening, ice cream, colouring in / drawing, pizza, ice cream, tickles. Fun stuff. 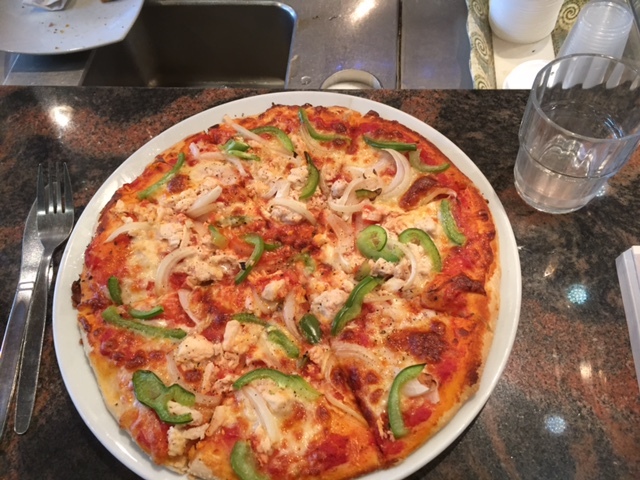 Then I couldn’t resist a pizza myself, out at Little Italy in the West End… I wasn’t clear to Fit Girl what size id have, so she ordered me a 12 inch! (And I managed to eat it all up). I probably should have had the sticky toffee cheesecake and can of full fat coke for afters, but you only live once right? (And I hadn’t had much else to eat today). Maybe I’ll need to get back into my running next week afterall!